Given the heightened scrutiny of employers’ background screening practices, employers should review their practices and policies to ensure legal compliance. However, compliance doesn’t ensure that a background screening practice is effective. There are five key components of an effective background screening program. Fair. The Equal Employment Opportunity Commission (EEOC) and the Office of Federal Contract Compliance Programs (OFCCP) have warned employers to ensure that their employment screening processes, particularly with regard to criminal and credit history, are not discriminatory under Title VII of the Civil Rights Act of 1964. Recent litigation suggests that the EEOC’s definition of “fair” may be different from that held by the courts, however employers should still review their screening standards to be certain that they are consistently applied and based upon business necessity. Some states also have fair employment practice laws of which employers should be aware. On March 19th, I’ll be presenting Background Checks Under Fire: Policy Considerations to Avoid Discrimination Claims in a free webinar approved for one hour of HRCI general recertification credit. In this one-hour presentation, I’ll review the EEOC’s 2012 guidance on employers’ use of criminal records, the OFFCP’s similar position statement, and state and local trends surrounding background checks. Compliant. The federal Fair Credit Reporting Act governs employers’ use of background check information purchased through third parties like Imperative Information Group. Plaintiffs’ lawyers are becoming increasingly aware of the FCRA’s requirements on both background screening companies and employers. Class action lawsuits against employers for failure to comply with the FCRA are becoming much more common and are resulting in multi-million dollar settlements. These settlements include payouts to applicants and employees against whom no adverse action was taken by the employer – simple technical failures to comply with the FCRA are now resulting in lawsuits. FCRA compliance is fairly straight forward and actually provides employers with immunity from lawsuits for defamation, invasion of privacy, and negligence with regard to their use of consumer reports. Additionally, some states have their own flavors of the FCRA about which employers should be aware. On February 27th, I’ll be presenting The Fair Credit Reporting Act’s Requirements for Employers as a free HRCI-approved webinar to assist employers in ensuring their compliance with the FCRA. Social. When it comes to social media, employers are stuck between a rock and a hard place. On one hand, they fear accessing protected-class information about candidates and the perception that their inquiries are overly invasive. At the same time, employers are concerned that failing to review publicly-accessible social media information that might provide insight into a candidates’ lack of fitness for certain kinds of positions will come back to bite them when something later goes wrong and lawsuits are filed. Additionally, even employers who don’t officially search candidates’ social media profiles often fail to communicate that policy to hiring managers who take it upon themselves to “check out” candidates’ social media profiles. There are ways to balance these concerns and I’ll discuss them in my March 28th free webinar, Social Media Policy Considerations for Employers. Thorough. Many employers rely on instant criminal records databases as their entire criminal background check. Though these “national” (we call them multijurisdictional) criminal records databases have a place in a thorough employment screening program, relying on them solely is akin to buying a car radio and calling it a car. Likewise, many employers have ill-advised limits on the scope of the criminal records they review. 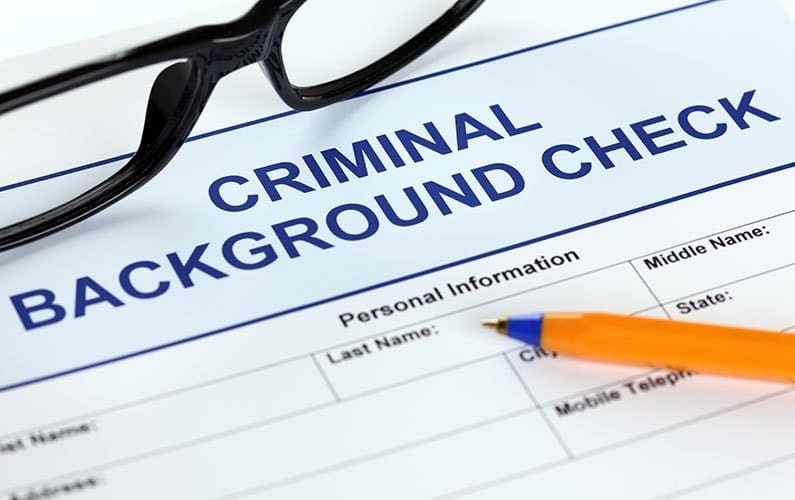 In my April 11th webinar, What Employers Need to Know About Background Checks, I’ll pull back the curtains and share where criminal records information comes from (it is not like what you see on TV) as well as the importance of including other background investigation components including driving histories, employment and education verifications, and in some cases credit reports. Like all of our webinars, this one is approved for an hour of HRCI general recertification credit. Ongoing. Employees have lives outside of the workplace. Sometimes, employee’s off-duty conduct has workplace consequences. Increasingly, employers are recognizing the need to review employee’s driving, criminal, and, in some cases, credit information on an ongoing basis to ensure that the employee is able to continue contributing to the company’s success in a safe and effective manner. The decision to request background checks on existing employees has the same requirements as for job applicants under the FCRA. My webinar The Fair Credit Reporting Act’s Requirements for Employers webinar will review those requirements while What Employers Need to Know About Background Checks covers the smaller-scope background checks many employers request on an annual basis. Of course, if you are currently reviewing your background screening process, you may not want to wait for these webinars. Feel free to call me at toll free 877-473-2287 and I’d be glad to visit with you about your questions. Mike Coffey, SPHR is president of Imperative Information Group, a Texas-based background screening and business due diligence firm serving clients nationally.